Stress ages us and is a strong contributor to many of the chronic degenerative diseases of aging. So many people are in search of the fountain of youth through supplements, hormones, diet, exercise and other modalities. What if I were to tell you the secret lies within? With Thanksgiving coming and all of the holiday stress upon us, it serves as a reminder that gratitude or giving thanks for what we do have is a cause for celebration. Gratitude is a thankful appreciation for what an individual receives, whether tangible or intangible, big or small. With gratitude, people acknowledge the goodness in their lives. In the process, people usually recognize that the source of that goodness lies at least partially outside them and helps them connect to something larger than themselves as individuals — whether to other people, nature, or a higher power. 1) In positive aging, healthy individuals demonstrate characteristics of maturity (e.g., forgiveness, gratitude, and joy). 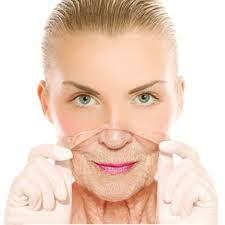 2) Healthy aging suggests issues related to quantity as well as quality. 3) Graceful aging is demonstrated by a simple acceptance of one’s fate in a genuine, affable, and socially connected way. Vaillant concludes that the paradox of life is that the past may predict but never determines old age: life can be disturbingly wonderful. “Gratitude is almost always more fun than spite or regret” Let’s give thanks for whatever we can, no matter how big or how small, and add some years to our lives.